I’ve just about had it with snow … no, check that — I have had it! Thursdays are the days that I get to teach and I really love it. I’ve been sick all week and when I woke up around 4 this morning I knew I wasn’t going to be able to get through the day, regardless of the snow. I rescheduled my morning meetings and planned on resting until class time. When we cancelled classes later in the morning I figured it was a lost week. What is disappointing is that last week we had such an amazing class as the groups did their first round of synthesis presentations, focusing on the ideas of disruptive technologies seen through the lens of our first theme of community. Truly an exceptional experience and one that pulled the class together into the early stages of our own community of practice. I asked if #CDT450 had become a community. One student answered, "tonight we did." So proud of the synthesis of the first theme tonight! So when the snow and my health threatened to cancel class we took matters into our own hands and disrupted the snow day by using Google Hangout to do a check in and a preview of the next couple of weeks. It wasn’t perfect, but it was certainly better than not having any time together at all. 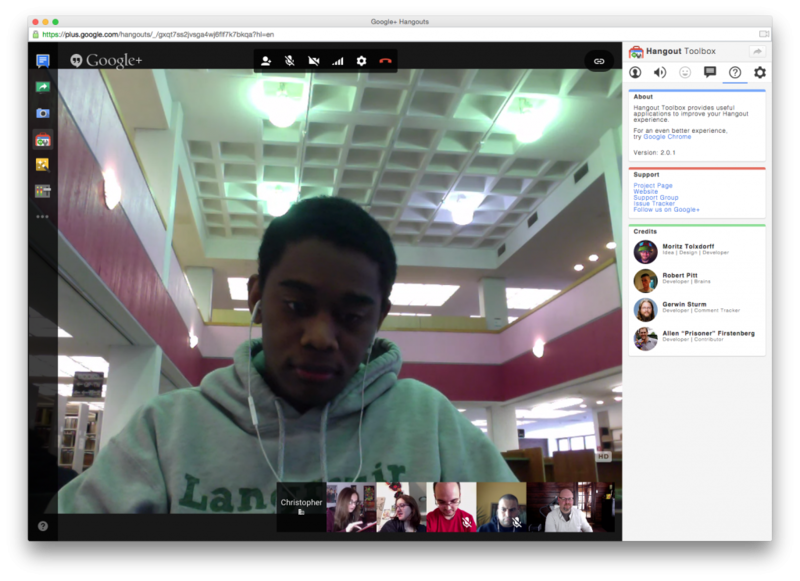 We did have a few moments of meaningful discussion about Library space, McLuhan, and how technology like Hangouts can be a decent tool for connecting communities. Great use of time. I use TodaysMeet for my high schoolers on snow days (we have had 5) and as study sessions. It never dawned on me to use Google Hangouts this way. Do you know if Google Hangout can handle 80 students at a time? So glad you believe in community with your students. My suggestion would be to look into Google Hangouts on Air. That let’s you do more broadcast style to tons of people. My name is Cole Camplese and I serve as the Vice President for Information Technology and CIO for Stony Brook University. I oversee the Division of Information Technology as well as serve as a member of the President's executive team. It is probably a good idea for me to mention that the things I write here are coming from me and do not represent the opinions of Stony Brook. Final Post - iPad, etc.